Open layout, light-filled modern green home with soaring ceilings. Energy Star certified, 4BRs/3 full BAs. Features a sleek kitchen with floor-to-ceiling cabinetry, granite countertops, and steel appliances. Climb the indoor rock wall to the play loft. Take coffee on the deck overlooking the park. Stroll to W AVL’s trendy spots (or incoming Starbucks). Terraced landscaping for outdoor entertaining. Breathe healthy via ERV unit + HVAC w/ whole house dehumidifier & UV light. 1 car garage. Directions: From Downtown Asheville Take Patton Ave/US-19 S/US-23 S/US-74 ALT W.; Turn left onto Florida Ave; Turn left onto Burton St; Turn right onto Bryant St. #39 will be on your right hand side. Disclaimer: The map service includes search results such as listings and related information provided by third parties. Beverly-Hanks makes no representations or warranties regarding the accuracy or completeness of the information provided by these third parties. Just across the French Broad River from Downtown is Asheville's hippest neighborhood: West Asheville. At its heart is Haywood Road, lined with locally-owned businesses like funky vintage shops, eclectic boutiques, an independent record shop, and unusual eateries. And since everyone can't live in West Asheville, there's the All Go West Festival, a one-day music festival that celebrates the unique culture of West Asheville. There's so much to do in West Asheville that many of its residents see no need to venture far from its hub. Why would you when everything you could want is just a short walk or bike ride away? Diverse real estate options characterize the greater Asheville area, and West Asheville is no exception. Within a short drive of the city center, it is entirely possible to consider an urban condo, rural farm, or an older home in one of the historic neighborhoods that runs through the neighborhood. In the past two decades, the neighborhood has seen unprecedented rejuvenation. Because of a subsequent increase in demand, West Asheville home buyers are encountering tightening supply, especially along Haywood Road. The reduced supply of homes for sale and increasing home prices are leading to a strong seller's market. 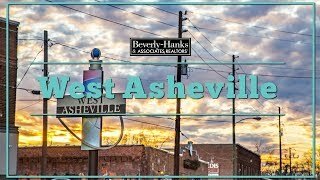 Beverly-Hanks has a central office conveniently located in downtown Asheville, within minutes of West Asheville. If you're searching for homes and land in West Asheville, our expert real estate agents are available to help. Your Beverly-Hanks & Associates REALTOR® is backed by an outstanding support staff and committed to the highest standards of customer service. Find the homes in Asheville that allow you to Live the Life You Choose. Click below to search Asheville, NC real estate for your ideal listings. For home mortgage services through Beverly-Hanks & Associates, visit our Mortgage Services office in downtown Asheville, NC. West Asheville is located just west of downtown and the River Arts District along Interstate 240/Future I-26. As one of Asheville's fastest growing neighborhoods, West Asheville offers many amenities within minutes (walking, biking, or driving), including public, private, and charter schools; a branch of Buncombe's extensive county library system; access to state-of-the-art medical facilities at Mission Hospital, the largest in the region; and innumerable shopping, entertainment, and dining options. 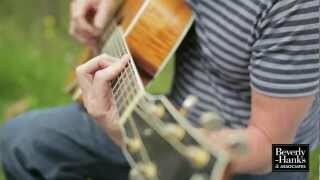 West Asheville is also conveniently located just a few miles north of the Blue Ridge Parkway, a sightseer's and cyclist's haven. Asheville is the largest city in Western North Carolina, but surrounding towns in Buncombe County offer small-town flair and varied amenities. The population is approximately 240,000 in the county. The four-season temperate climate with average snowfall of only 13 inches makes year-round living easy. Average elevation is 2,165 feet above sea level with surrounding mountain elevations of up to 6,685 feet at Mount Mitchell, the highest peak east of the Mississippi River. Because of this broad range of elevations and corresponding climates and plant growth, the area is one of the most biodiverse in the United States and the world. Asheville city residents pay both city and Buncombe County property taxes, as totalled below. Buncombe County also has many local and special tax districts. Depending on your home, you may be subject to additional fire or school taxes. Tax rates are per $100 of assessed valuation. 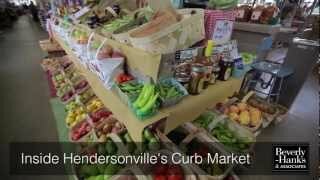 West Asheville is a vibrant and active community. Read about recent news, events, and real estate market updates for the area on the Beverly-Hanks blog.